Kalyan started his research and development in his own house and self-funded the entire process. 39-year-old entrepreneur Vellanki Kalyan Chakravarty is working towards providing healthier food options to people through his start-up, Chef Farmers. 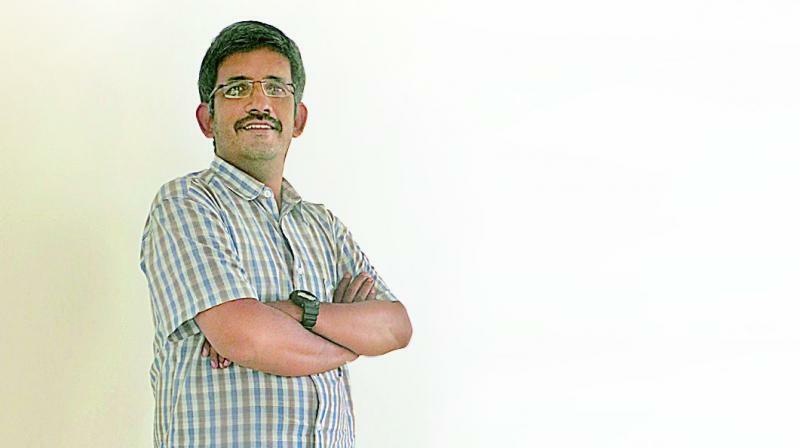 Vellanki Kalyan Chakravarty is on a mission to change people’s food habits for the better. His proposal was awarded the first position at the National Institute of Rural Development’s nationwide start-up conclave recently. The 39-year-old entrepreneur and hotel management graduate came up with the concept of his start-up Chef Farmers after he saw the amount of food wastage that happens in the hotel management industry while he was a part of it. His aim is to produce 100 per cent millet based food products. One of Kalyan’s goals is to provide employment opportunities to rural women. He has also proactively been a part of training female inmates at the Special Prison for Women at Chanchalguda Jail’s bakery unit. “A lot of these women have gone on to start their own bakery shops and units after being released from prison to make a dignified livelihood.” Kalyan’s primary targets in terms of consumers are children and pregnant women. “I want the next generation to be provided with healthier alternatives. Our generation has already grown up on unhealthy processed food and it is too late to reverse the adverse health effects,” he sums up.